« Kooky Courier Made Simple! Our involvement in this endless conflict has now cost the lives of 29 Australian soldiers and more than 200 wounded, over its ten years. In 2009 we discussed Australia’s strategy dilemmas, expert opinions, troop surges, and the corrupt Afghan government and shocking reality there, explained by Malalai Joya (currently in Australia again, as guest of the Melbourne Writers Festival). The same arguments still hold, but the Australian body count keeps rising. Mission creep has been a constant. Our reasons for being there (apart from unconditionally supporting our US ally in whatever military adventure they undertake) have seamlessly segued from a general ‘war on terror’, to rooting out Al-Qaeda, denying them bases, fighting the Taliban, mentoring Afghan security forces, protecting Afghan women and even humanitarian efforts. Meanwhile the corrupt Karzai government fiddles elections, trades in opium, under the protection of the NATO coalition forces, and more. Now, finally the government is negotiating with Taliban leaders about some sort of settlement. In other words, the ‘enemy’ will come into the fold, or tent, without mixing metaphors. Working out friend and foe, as allegiances shift and re-form, is probably beyond us non-Afghans. 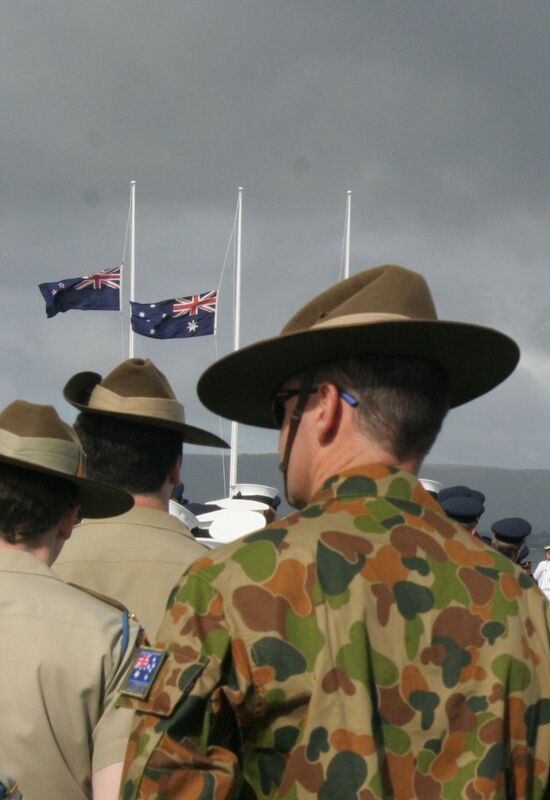 Australia’s sacrifice has made no real difference and our troops know it. Channel 7 Sunday program questioned them and their embarrassment was palpable. Discussion about the war’s effectiveness and outcomes is stymied by our reluctance to admit any unnecessary loss of life and injury. Media questioning is absent and our political leaders on both sides maintain a kind of misplaced omerta, mouthing the same platitudes of regret at every new Australian troop death. Reverence for fallen soldiers is almost religious, but their avoidable deaths are a matter for deep shame, and our silence allows the scandal to continue. What tactical purpose they serve patrolling the countryside constantly exposed to IEDs (improvised explosive devices), which have killed the most, also remains a mystery. Our history of participation in others’ unwinnable wars continues apace.